This is the second part in a brief series of posts looking at Wes Morriston’s recent paper “Ethical Criticism of the Bible: The Case of Divinely Mandated Genocide”. As noted in part one, the paper takes issue with some Christian strategies for dealing with the more ethically troubling passages in the bible. Last time out, we looked at the Canaanite genocide and Richard Swinburne’s apologia for it. This time out, we’ll consider two further biblical stories and the purported justifications for them. According to one passage in the book of Numbers, when the Israelites were encamped with the Midianites at Peor, some of the Israelite men had illicit relations with some of the Midianite women and joined them in the worship of the false god, Baal. It’s a pretty typical tale of theistic infidelity, the bible is littered with similar examples. Needless to say, Yahweh isn’t best pleased by all of this and he sends a plague to kill 24,000 Israelites. As you do. Interestingly, his wrath abates when a young Israelite named Phinehas impales another Israelite man and his Midianite bride on a spear. Yahweh rewards Phinehas with a covenant of perpetual priesthood — the ANE’s equivalent of tenured professorship, I guess. Once again, this is all said to be done in an effort to wipe out the spiritual infection (worshipping a false god and so on) that is spread by the Midianites. We covered this notion in some detail in part one. What’s interesting here is the sequence of events and the accompanying rationales. In the earlier passage from Numbers, the Israelites were punished for disloyalty (the plague that kills 24,000). In the later passage, it’s the Midianites who are punished for their role in what happened in the earlier passage. In other words, the Midianites are punished for helping the Israelites to be punished. 2. Is the Punishment of the Midianites Justifiable? I find this interesting because of the biblical attitude toward punishment that is evinced in these passages. Indeed, Morriston makes this attitude the centrepoint of his criticisms, but to understand them we need to take a short detour into the concept of retributivism. Now I’m no big fan of retributivism — as you might have gathered from some of my recent posts — but at least defenders of that position bring with them the idea that punishment can only be inflicted on those who are morally blameworthy, and that the most severe forms of punishment can only be inflicted on those who are really morally blameworthy. Typically, this means that those who are negligent or reckless in their wrongdoing merit less severe forms of punishment, whereas those who intend wrongdoing and act with full knowledge of the likely consequences of their actions merit more severe forms of punishment. Either way you look at it, genocide is a pretty severe form of punishment. In fact, I doubt whether even the most bullish retributivist would ever think it warranted, but let’s (per impossibile) grant that it could be. Even then, the punishment of Midianites seems unjustifiable. As Morriston points out, they didn’t intentionally engage in wrongdoing since they (presumably) were sincere in their worship of Baal. Furthermore, they did not act with full knowledge of the consequences of their actions because they could not have foreseen how Yahweh would visit a plague upon the Midianites. Thus, they could not be eligible for the more severe forms of punishment. Allow me to summarise this line of thinking, as is my wont, in argumentative form. (1) It is unjustifiable to inflict severe forms of punishment upon those who neither intend wrongdoing, nor act with full knowledge of the consequences of their actions. (2) The Midianites in the affair at Peor neither intended wrongdoing, nor acted with full knowledge of the consequences of their actions. (3) Therefore, it would be unjustifiable to inflict severe forms of punishment upon the Midianites for what they did in the affair at Peor. I think this is pretty compelling — assuming the presentation of biblical story is correct — and it could be used as the basis for further arguments about the moral character of Yahweh and/or the reliability of the bible. I leave those to the imagination of the reader. The next story discussed by Morriston comes from 1 Samuel 15. It tells us that Yahweh is going to punish (the actual word used is “paqad”) the Amalekites for what they did in opposing the Israelites when they first came out of Egypt. We are told that they are to be utterly destroyed, and that this includes extermination of the men, women, children, ox, sheep, camels and donkeys (1 Samuel 15:1-5). Quite an extermination, I’m sure you’ll agree. This all hearkens back to an earlier passage in Deuteronomy (25:17-19) in which the Israelites are told that once God has given them rest from their other enemies, and once they have settled in the land of Canaan, they shall “blot out the remembrance of Amalek from under heaven”. As Morriston notes, the timeline here is again significant. The divine judgment in Deuteronomy predates that actual command to destroy the Amalekites by several hundred years. The reason for the delay is to give the Israelites time to settle on the land of Canaan. There is no suggestion that the descendants of the Amalekites who were alive at the time of the Deuteronomy narrative had done anything to merit punishment in the interim. This suggests — as is in fact all too common in the bible — that Yahweh is quite comfortable with the idea of punishing those who themselves are not guilty of wrongdoing. Again, this would seem to clash with notions of retributive justice according to which punishment is justified if and only if it is imposed upon the guilty. Perhaps unsurprisingly some Christians try to avoid this troubling conclusion. Eleonore Stump is one of them. She argues that in issuing the command for genocide (let’s not dress it up) God could have taken into account other facts about the Amalekites. In particular, she argues that the Amalekites might have been on a bad cultural trajectory since the earlier time and that God realised enough was enough. The Amalekite national identity needed to come to an end. Stump emphasises this as a possible reading, not a necessary, of the relevant text. Morriston declines her invitation to this make possible reading for two reasons. First, although her suggestion is possible — in the sense that it involves no obvious contradiction with the text — it is not plausible. It involves ignoring or downplaying what the text actually says. This is reinforced by his second reason which is that there’s every reason to suspect that God would visit punishment on future generations for the actions of previous generations. For example, the Mosaic Covenant explicitly states that God will do this (Exodus 20:5). 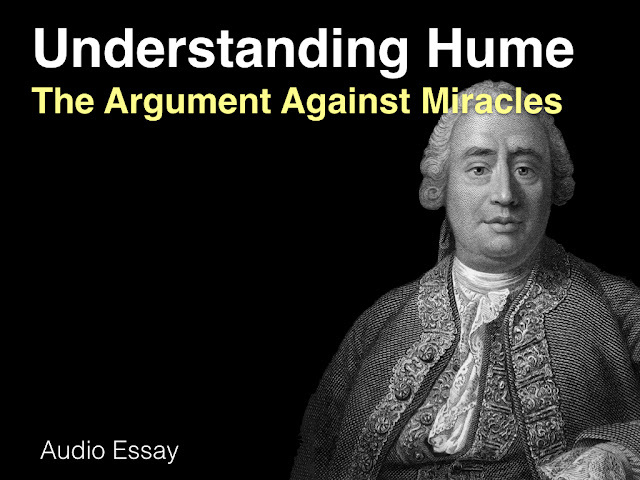 Morriston discusses several other biblical passages that support this idea. Okay, that's it for now. Next time we'll look at what Morriston has to say about the reasons for not commanding genocide. (1) The Peor passage is from Numbers 25, not Deuteronomy. (2) If the phrase "the Midianites are punished for helping the Israelites to be punished" is implying that the Midiantes were the agents of the punishment, then that is incorrect. (3) Despite how the texts sound to our ears, it is unlikely that the Israelites actually wiped out the Midianites or the Amalekites. Both groups of people appear in the Bible beyond Numbers 31 and 1 Samuel 15, respectively. (4) Perhaps the Midianites were sincere in their worship of Baal, but that does not mean they were entirely innocent either. In Numbers 22 the Moabites and Midianites employ Balaam to curse the Israelites. According to Numbers 25:18 the Midianites "bring trouble to you by their treachery with which they have deceived you in the matter of Peor." (5) We could quibble over whether the Midianites had "full knowledge" of what could happen, but they clearly had some idea. 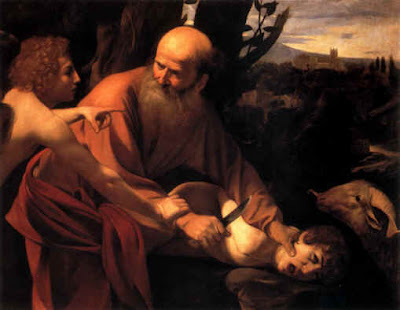 (6) I am assuming that the sentence "There is no suggestion that the descendants of the Amalekites who were alive at the time of the Deuteronomy narrative had done anything to merit punishment in the interim" should refer to 1 Samuel and not Deuteronomy. In 1 Samuel 15:33 the prophet Samuel says to King Agag of the Amalekites: "Just as your sword left women childless, so your mother will be the most bereaved among women!" While this is somewhat vague it does indicate that the Amalekites were guilty of bloodshed during the time of Saul. The reference to the bereaved mother may also again imply that not all the Amalekites were actually killed. (7) Morriston's interpretation of Exodus 20:5 is debatable and, as noted, contradicts other Biblical passages.